The Sabre CRi Master is a powerful yet accessible injector tester that enables the user to have absolute control. With an OE level of accuracy, completing each test steps takes only a few minutes. Its advanced cooling capabilities means that it never struggles to keep up with demand. The Sabre CRi Master achieves all of this via a domestic power supply and without the need to connect it to air and water utilities. 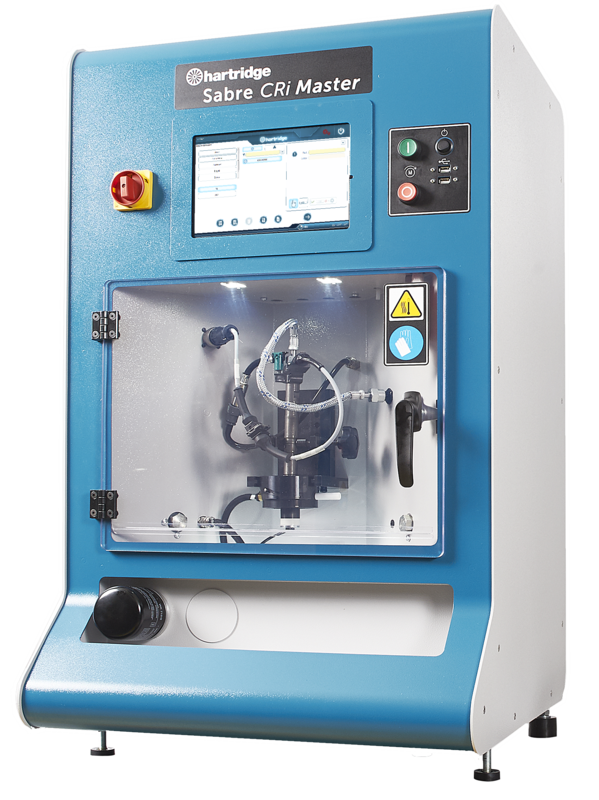 Behind the full colour touchscreen lives a completely re-designed magmah software interface with a level of features and functionality not seen before on any other injector test bench, including all the usual critical tests for Common Rail such as Response Time. Finally, it can be installed on a suitable worktop and so any workshop can be up and running within an hour of its delivery.